By Charnita Fance in Internet. Updated on January 6, 2015 . If your browser has become slow and laggy, you could try and fix the problem by disabling or removing unnecessary extensions (on add-ons depending on the browser you’re using). If you can’t bear the thought of losing one of your precious extensions though, there’s probably a bookmarklet that can do the same thing that your extension does. The good news is bookmarklets won’t slow down your browser, and there are bookmarklets with pretty useful functionalities. With just the click of a link on your bookmarks toolbar, you can modify the appearance of the Web page you’re on, share the Web page on your favorite social network, save it to read later, and much more. Today, we’re going to focus on bookmarklets that can take the place of some of your favorite browser extensions; some of them may even work better than their extension counterparts. 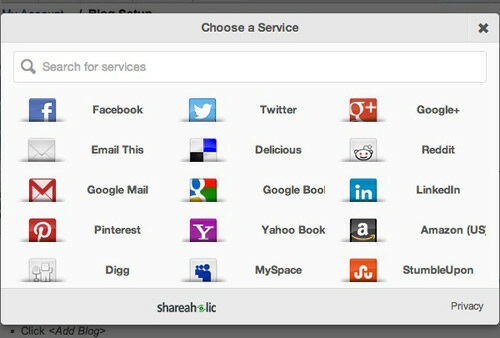 With the Shareaholic bookmarklet, you can share any Web page on various social networks such as Facebook, Twitter, Google+, Pinterest, and LinkedIn. 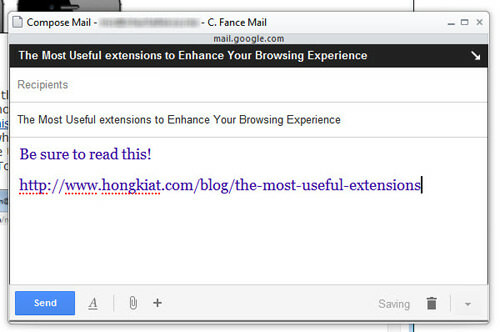 You can also send it by email and post to blogging platforms, like Blogger and Tumblr. There are many different social networks to choose from, and the search bar is great for pinpointing a specific service that you’re looking for. The AddThis bookmarklet is much like the Shareaholic bookmarklet, it lets you share a Web page on the social networks of your choice. The bookmarklet has a “Settings” link that lets you add up to 10 of your favorite places to share. If you’re always searching for products and prices on Amazon, this bookmarklet may be perfect for you. At the download page, just drag it to your toolbar to install. Once you click on it, just type in any search term(s) in the pop-up and an Amazon results page will open in the current tab. Although you can just print certain sections of a page by strategically placing your screenshot tool, this bookmarklet lets you remove images and text from a page before printing, among other things. That way, you’ll only get a printout of only the things that you want, saving you precious printer ink and paper. There’s no need to install a fancy extension to share on Twitter, just use this bookmarklet instead. 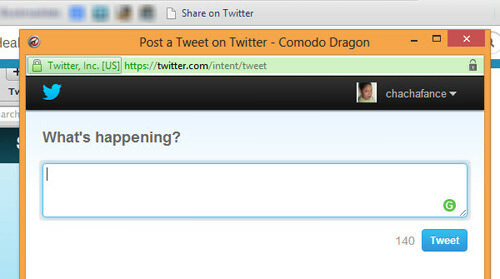 Once clicked, you’ll see a pop-up with a tweet box. Enter your text and tweet away – very simple. 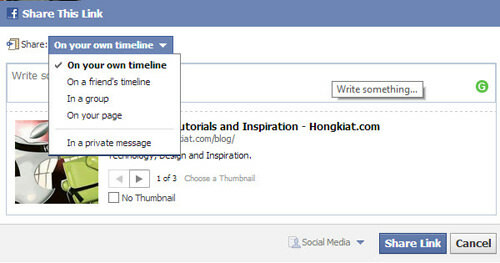 The Facebook bookmarklet makes it easy to share any Web page on Facebook, without an extension. Just click and you’ll see the Facebook share window pop-up. There are five ways to share: on your timeline, on a friend’s timeline, in a group, on a fan page, or in a private message. This bookmarklet works as you’d expect: click on it to save a Web page to your Delicious account. The title and comment will be filled in with the title of the Web page, along with the meta description. You can also add tags. If you use Flipboard, this is a bookmarklet you need to help you better curate content. Read content from your favorite blogs, along with updates from your friends on Facebook, Twitter, LinkedIn, and more. You can also save your favorite stories, images, and videos to your own Flipboard magazines (created via the iPad app). 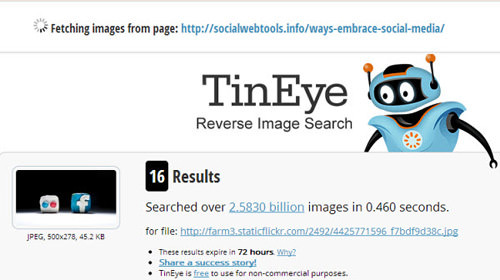 TinEye is my favorite tool for reverse image searches. You can find out things like where the image came from, if it has been modified, if there are other versions, and more. The extension is extremely useful, but so is the bookmarklet. Once clicked, it will fetch images from the Web page you’re on (in a new tab) and let you choose which one to search for. This is a cool little bookmarklet for Web designers, Web developers, and mobile app developers. Why? It helps to test the responsiveness of a site and see how it looks on mobile devices like smartphones and tablets. It also shows how much space is visible when users are entering data in forms. You can choose landscape and portrait modes for both smartphones and tablets, and enable a mock keyboard. The Pocket (formerly Read It Later) bookmarklet works just like the extension, and lets you save Web pages for later reading. 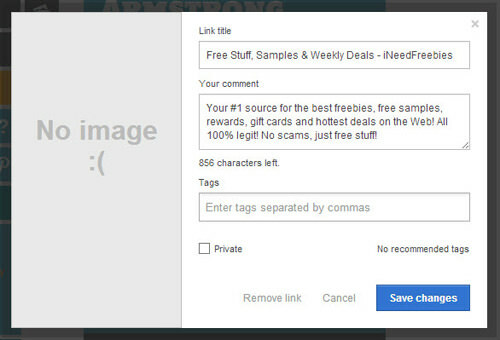 Just click it and the page will be saved immediately; it also gives you the option to add tags if you’d like. Much like Pocket, Readability lets you save pages for later reading. However, in addition to the “Read Later” bookmarklet there are two others: Read Now and Send To Kindle. The “Read Now” bookmarklet shows you a cleaned up version of the Web page you’re on, while the “Send To Kindle” bookmarklet sends the Web page directly to your Kindle device. For those who prefer Instapaper as their main tool for saving Web pags for later reading, don’t worry as it’s included as well! Instapaper is much like Pocket and Readability. When you click on the bookmarklet you’ll see a “Saved!” message in the top left corner of the page, letting you know that it has been added. I’ve tried out the Toodledo Chrome extension and Firefox add-on in the past, and I’m not a fan; I actually prefer the bookmarklet. It lets you add tasks to your Toodledo account from any page on the Web. It’s sleek and easy to use; you can choose folders, add due dates, and even add a priority to your tasks. If you need a quick way to take and share screenshots, this is a tool that is great for small captures (under 600px). When you click the bookmarklet, it will capture the entire page, then you can select the area of the page that you want to capture. From there, you can post it to a variety of places like your website, social media sites (Twitter, Facebook, Gmail, Tumblr, etc), and Pixlr (for annotating). You can also add a video comment and email it directly to your friends. Kippt is my new favorite tool for bookmarking Web pages and saving articles to read later. While the browser extension is great, the bookmarklet works just the same. Plus, you can share and bookmark pages right from the bookmarklet to sites like: Twitter, Facebook, Buffer, Instapaper, and Pocket. 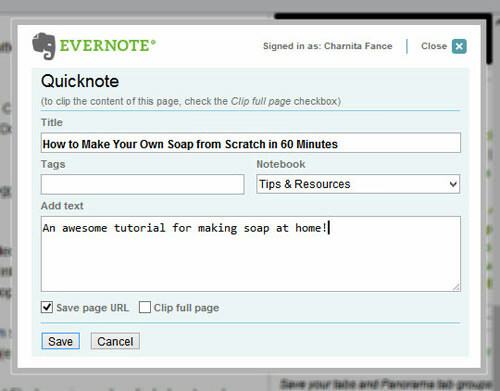 The Evernote Web Clipper is an awesome tool for saving and adding Web pages to notebooks in your Evernote account. Just like the extension, you can add tags, choose a notebook, add text, and choose to clip the full page or just save the page URL. 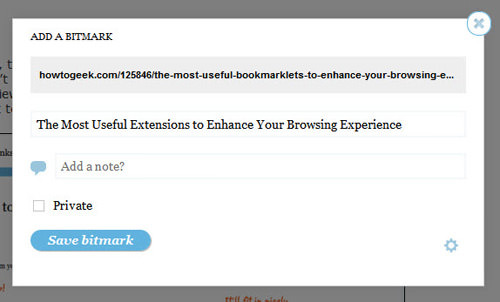 Bitly’s bitmarklet gives you a quick and easy way to create public and private short URLs (bitmarks). You can edit the title and add a note to your bitmark. You can enable 1-click saving / shortening from the settings. Once you click on "save bitmark" you’ll see the short URL, which you can copy to your clipboard, along with some other useful information and features (add to bundle, view stats, life of link). If you’re one who likes to share your Internet findings by email, or just like to email things to yourself, the Gmail This bookmarklet will really come in handy. AddThis and Shareaholic are both great plugins that include Gmail This functionality, but the bookmarklet is really so much handier. It opens a new compose window in a pop-up, allowing you to quickly create and send emails. Like to read articles as PDF files on your computer or mobile device? 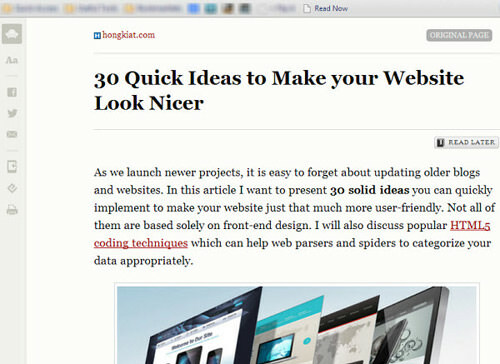 Then you’ll love the PDF Download bookmarklet. In a nutshell, you click on the bookmarklet, it converts the Web page to a PDF file, and then it will send the PDF file to you via email. From there, you can do as you’d like to the PDF file. 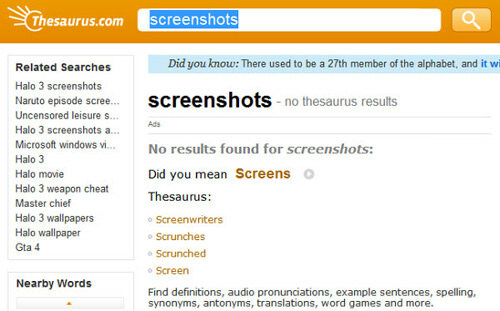 Dictionary.com and Thesaurus.com provides bookmarklets that make it easy to look up the definition a word, and also find synonyms and antonyms. My only complaint is the fact that the dictionary and thesaurus pages open up in the same tab. Luckily, I found a modified version of Thesaurus.com’s bookmarklet, which opens a new tab. There are so many more bookmarklets out there that can not only replace browser extensions, but also boost your productivity. There are even some bookmarklets that are nothing like any other extensions available. 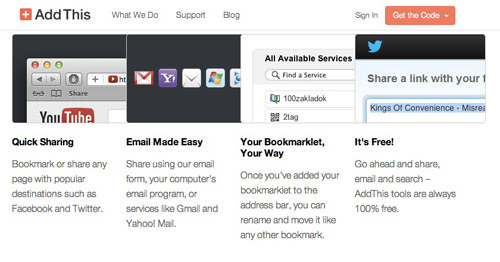 So let us know if you use bookmarklets and if so, which ones are your favorites? Is there a bookmarklet that you think should have made the list that didn’t?